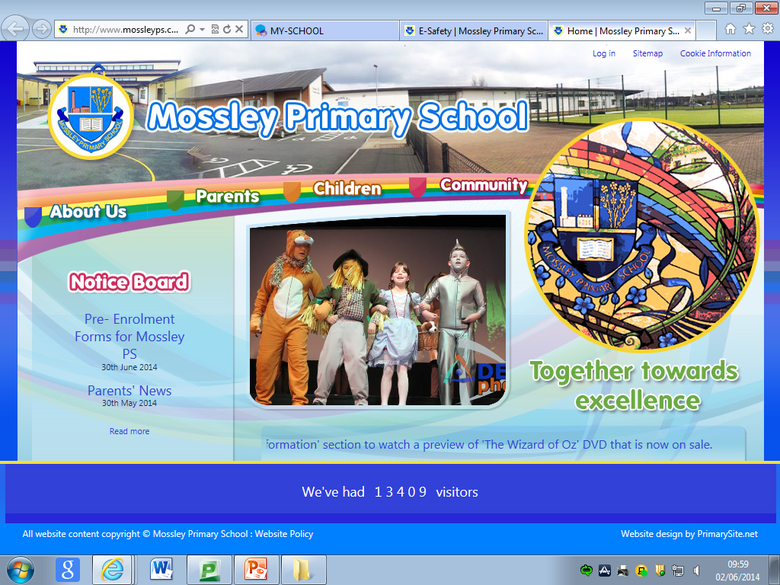 Children at Mossley Primary School use the Internet on a regular basis as part of their learning. In school, we have 'e-safety' posters around our shared learning areas and above the computers to remind children of the importance of keeping themselves safe online. 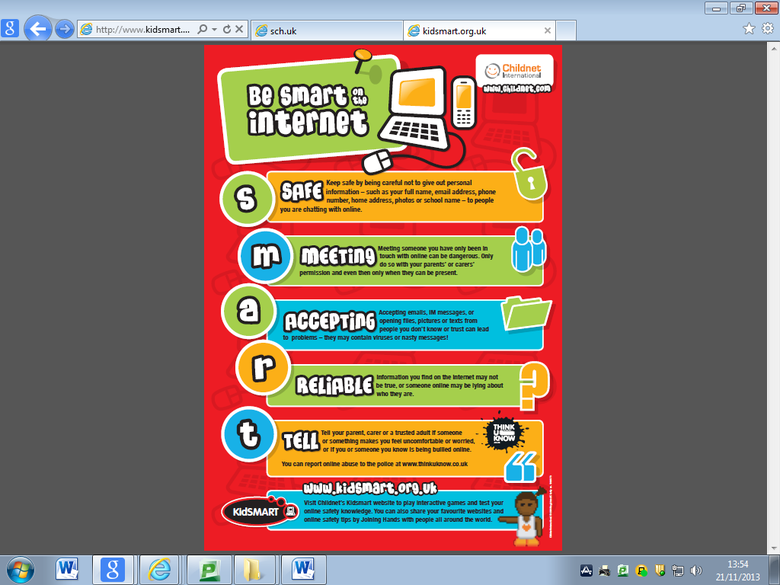 We also have an 'Internet Saftey Day' when the children complete a range of internet safety tasks and activities and learn more about how to stay safe when online. At home, sometimes children can be given unsupervised access to the Internet. This, potentially, allows them to access all kinds of websites (both good and bad) and so we have provided you with a number of steps as to how best protect your child when they are online. Use Mossley Primary School website: Use our own website to access resources and games to assist in the learning of your child. All of the sites we have links to are safe for your child to use independently. Explore e-safety sites - There are lots of links to useful e-safety sites listed below. They are great fun to explore, so why not browse through them with your children? Social Media (Facebook, Twitter etc) - Many of these sites have a minimum age limit which our children have not yet reached and so pupils should NOT be using them. They do not offer high levels of protection, allowing children to communicate with anyone. We have these e-safety posters on display in our school. Why not put one up next to the computer at home and talk about it with your children?